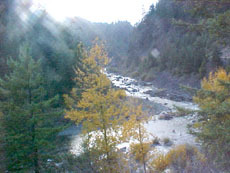 The river cascades through 70 miles of Coastal Mountains, from an elevation of 5,906 feet at the headwaters, to its confluence with the Eel River at an elevation of 62 feet.The Van Duzen has been federally designated as a "Wild and Scenic River", but also has been listed as "sediment impaired" under section 303(d) of the Clean Water Act. 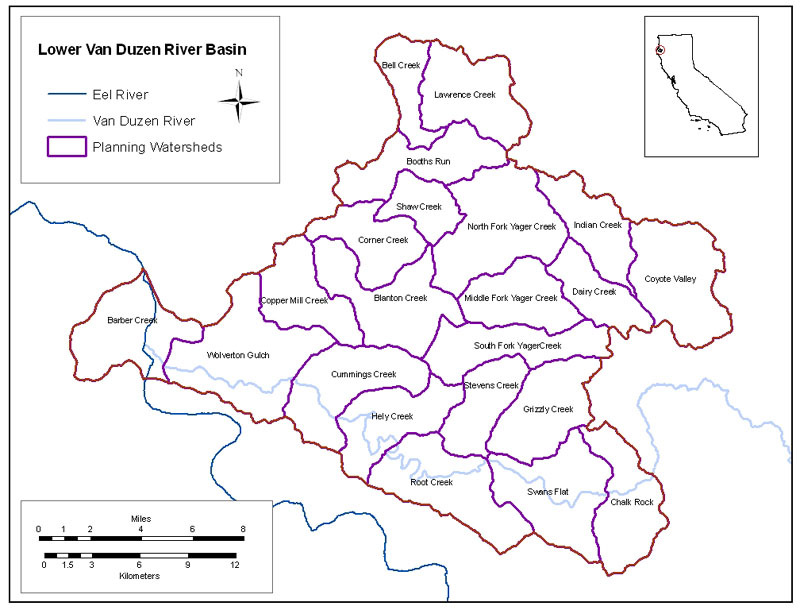 The Van Duzen River basin is the site of redwood parks, ranches, timberlands, and residential neighborhoods. 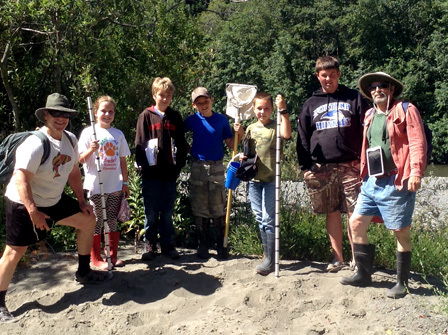 Healthy Streams Project - Article by Sal Steinberg - Published in Trees Foundation, Summer 2015. 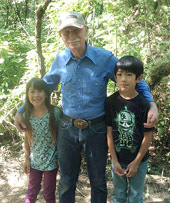 The Magic of Art and Science - Article by Sal Steinberg - Published in Trees Foundation, Summer 2015. 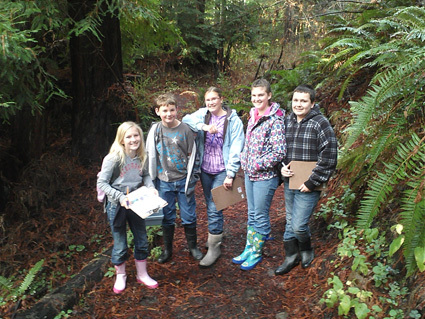 'More Kids in the Woods' program encourages students, teaches watershed ecology. 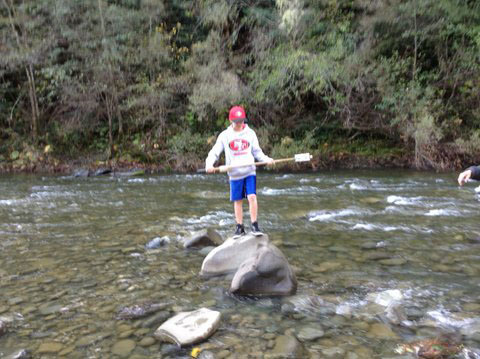 Cuddeback Elementary School, Carlotta, CA.
" 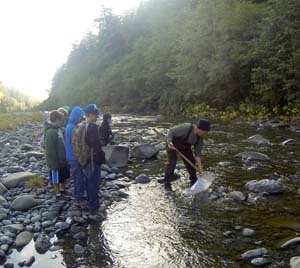 Making a Home for the Salmon"
The Van Duzen Watershed Project area is called the "Lower Van Duzen River Basin", which is made up of 22 planning watersheds and 11 stream monitoring sites. 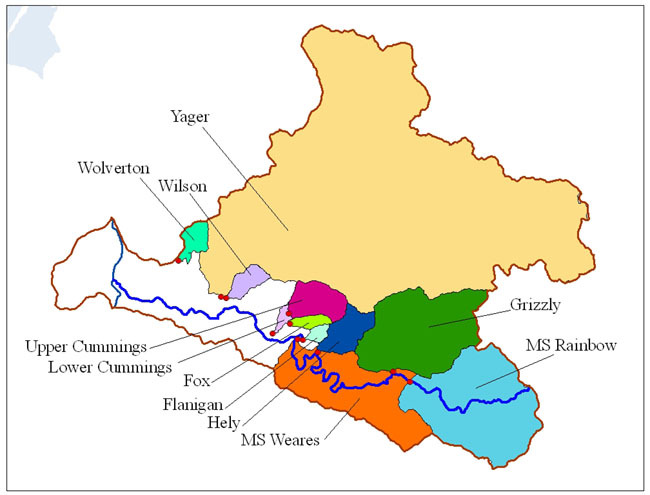 Rainfall catchment areas for these 11 sites have been calculated and mapped. 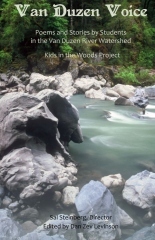 Salmon Tales read about salmon sightings and other tales. 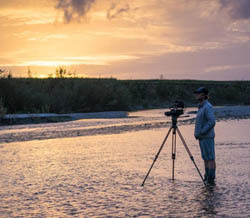 Documentary filmmaker, fisherman and former Humboldt County resident Shane Anderson stands in the middle of the Van Duzen River, a tributary of the Eel River during the filming of A Rivers Last Chance". 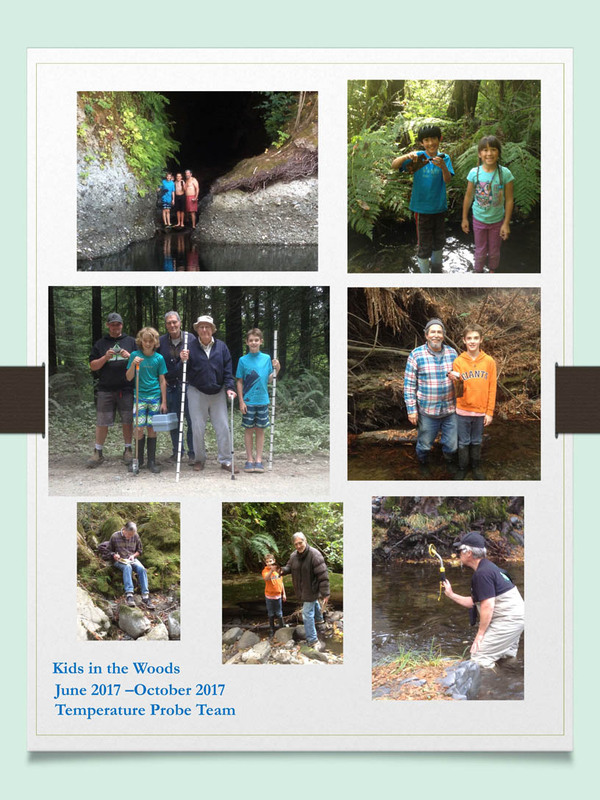 River Friends : KIEM did its feature on the Eel last week. Newscaster Brad Curtis did a phenomenal job portraying the past, present, and the future of the third largest watershed in CA. 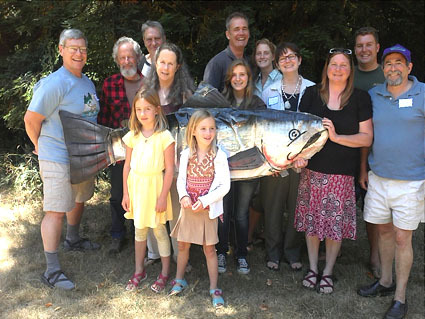 Featured are the Eel River Recovery Project and Friends of the Van Duzen. 5th Anniversary Party and Fish BBQ! 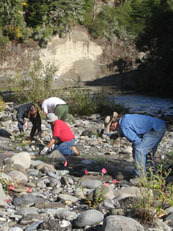 The Eel River Recovery Project will be holding its Water Day Yearly Event at the Mateel on Sunday April 13, 2014. As usual it will be full of information, panels, posters, connections, dinner and entertainment. Full Day! 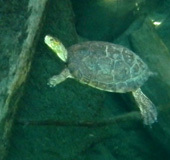 Click Here to visit the Coastal Watershed Program Website. 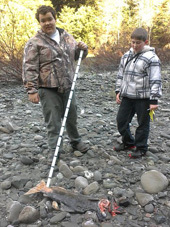 The Coastal Watershed Planning and Assessment Program (CWPAP) is a Department of Fish and Game (CDFG) program conducting fishery-based watershed assessments along the length of the California coast. 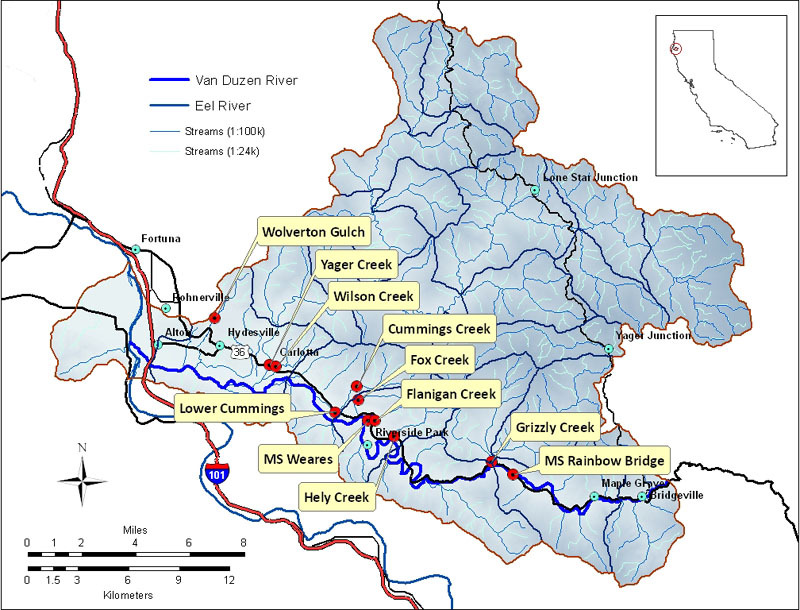 Proposed Watershed-wide Waste Discharge Requirements for the Elk River and Freshwater Creek Watersheds. 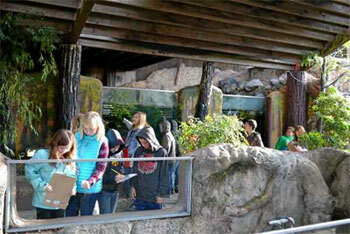 Trinity, Klamath get Big Bucks. 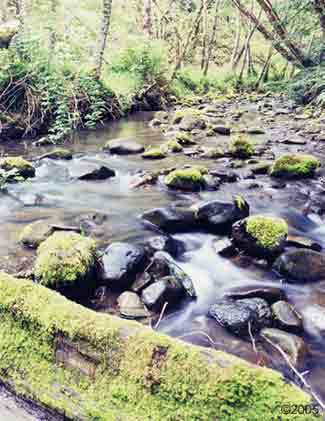 The Sacrifice Zone: The Van Duzen Watershed is paying the price for the Headwaters deal. Award winning article by Keith Easthouse, Northcoast Journal, January, 2003. 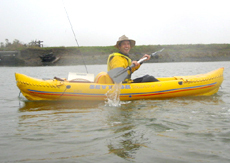 It was a beautiful day, with blue sky and our goal was to paddle a pair of sea kayaks on this 12 mile reach to the Eel River, then the 3 miles of Fortuna. . . .